IT’S FINALLY MY FAVORITE TIME OF YEAR AGAIN!!! Halloween is my favorite holiday and therefore October is my favorite month that I love to fill with scary movies and books! I missed out on Lauren’s amazing Read-A-Thon last year but I’m joining in on the fun this year! I may or may not be able to read through all of these because I have ARCs to catch up on but I’m going to try my hardest because I LOVE HORROR BOOKS! So if you’d like to join the read-a-thon as well and get a chance to win a give-away as well! Just link back to Lauren’s post here! For this one I’ve decided to go with “Shutter” because I’ve been dying to read this forever and the cover is pretty damn creepy! It’s about a female descendant of Van Helsing who fights both undead monsters as well as ghosts and she has a crew who assists her but one of their ghost hunts goes wrong and they are all infected with a curse. Believe it or not I actually don’t have that many horror books on my shelves that AREN’T supernatural in some way or I have already read them! So I decided to go with “Survive The Night” since nothing about it seemed paranormal from the synopsis and I did really like Vega’s other series “The Merciless”. I always get waaaay more creeped out reading spooky books in the dark which can be good and bad sometimes! 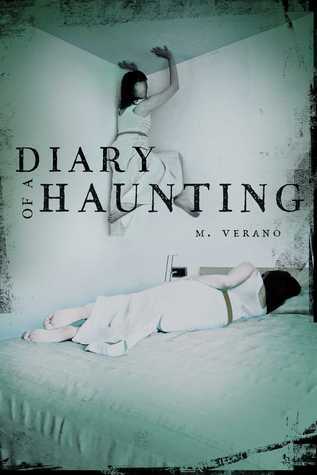 I tried picking one of the creepier books on my shelves for this one, “Diary of a Haunting”. The cover is kind of creepy and anything with hauntings is up my alley! Watching scary movies is seriously one of my favorite parts of October! The sad part is I don’t have anyone who likes to watch them with me except my brother! I always try to have some horror movie marathons though so for this one I’ll go ahead and pick The Conjuring and The Conjuring 2 because those are some of my favorites and I know I’ll make time for them! Definitely “Trick” for me! 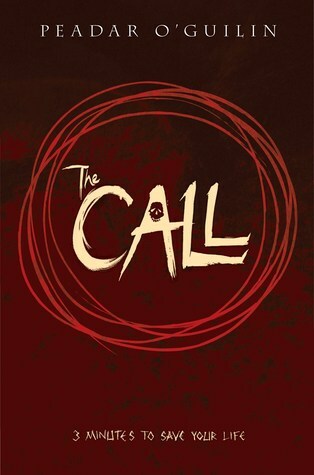 I’ve been putting off “The Call” for a while now and everyone who has read it seems to really like it so I’m going to try and read that one this month! It’s got some creepy people-eating creatures from Irish mythology called Sidhe and people get “called” into their world and must try and survive. 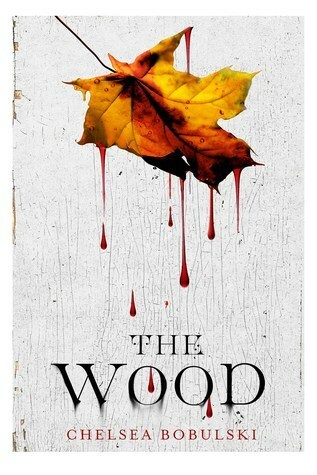 I may or may not make it to seven books but if I do I’m going to try and read “The Wood” which sounds and looks super creepy but I’m not 100% sure how creepy or supernatural it actually is. Still I want to read it, and I loooove the cover! Will you be participating in Lauren’s Halloween Read-A-Thon? What books will you be reading this October? Anything spooky? Oh, I almost picked up The Call from the bookstore the other day! I’m a sucker for anything Irish, haha. I can’t wait to see what you think of it! 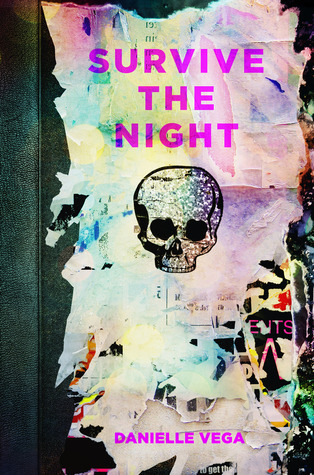 I’m not sure how to interpret having fun with Survive the Night, haha, I suppose I’ll have to read and find out now! The Conjuring (both of them) are honestly my favorites because of how much they scared me, I don’t think I’ve been that terrified from a movie in a while! I thought the second one was a lot scarier too just so you know what you’re getting herself into if you watch it, haha! Ahh the covers give me the heebie jeebies 😂 Hopefully I get to read The Wood and The Call soon. Great list! I hope you can get to them! I haven’t started The Diviners series yet but I’m hoping to eventually here since I have a copy, I adore “Lips Touch: Three Times” so I really hope you enjoy that one especially! Ooooh, awesome, great list! 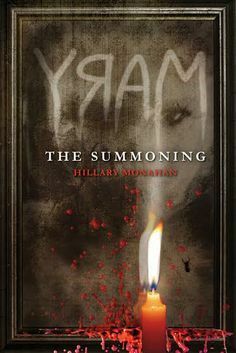 I actually have Shutter and Mary: The Summoning on my October TBR, too! I really enjoyed The Wood. It has a slightly spooky setting but isn’t scary or anything – it’s more fantasy, but it’s beautiful! I hope so, too! They really do look creepy. 🙂 I can’t wait to read your reviews on all of them! The Call was really good, I loved it, there was really weird creations and I liked the story. I hope you enjoy it too! Thank you so much! 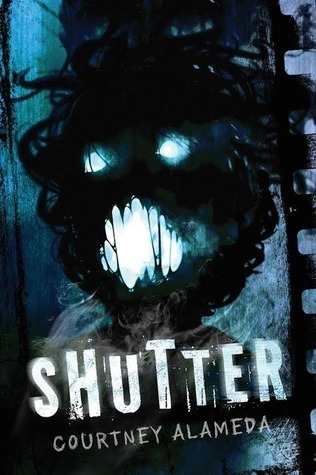 Shutter definitely has a super creepy cover, it’s always pretty disturbing to look at.